Mary Wroblewski, 93, passed away on Sunday. Mary retired from General Motors after 30 years, was a parishioner of St. Rose of Lima and was a member of the Happy Times Club. She was predeceased by her husband, William and two sons, Gary and Thomas. She is survived by her son, James Wroblewski of Liverpool; daughter-in-law, Nadine Wroblewski of Michigan; 4 grandchildren; 4 great-grandchildren and several nieces and nephews. Graveside services will be Friday, Feb. 15th 1:30pm in the Assumption Cemetery Mausoleum. 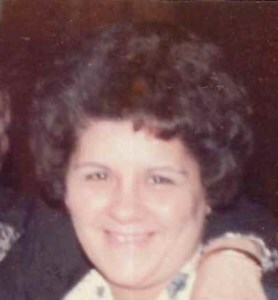 To share a memory of Mary or leave a special message for the family, please click the Share Memories button above. Add your memories to the guest book of Mary Wroblewski. God Bless Mary . Mary was a Close friend to my mother Millie Cayen . I've know Her and Bill my whole life . I wish I would have known sooner . I would have come to Syracuse for the Service . If anyone can tell me how to contact Jimmy please email me . I'd like to visit him next time I'm in Syracuse . Bill and Mary were the Best . Mary will be greatly missed, I enjoyed caring for her. Mary I discussed many bible accounts, we had many wonderfull evenings talking and laughing. Mary would say to me: “who’s going to look after my Jimmy when I'm gone”? I said my husband and I will keep check on him and for “you not to worry”. It’s our promise, Mary was like my mom and I call her mom, and Mary said its ok you can call me mom, I loved her very dearly, and look forward to the time when well see her again, in better health,as God has promised. John 5:28,29a. Acts 24:15. Rest in peace Mary I will always love you. May you rest in peace mary you will be greatly missed.AS I PROMISED I WIll Keep A Close Eye On Jimmy. Im greatfull for the time we shared you were a great and loving person . I love You Always. I am saddened to say that all of the Alcaro's are now passed and now are having a family reunion in heaven. I remember going to the Family picnic as a child but somehow the event got lost and we only got to see everyone at either Weddings or Funerals. It was a shame that we all did not get together too often. It is sad to see this type of event happen but I am sure that they all are in a better place and enjoying each ones company once again. I hope Fr. Richard Prior is doing the services. He came to visit me often when I was hospitalized. Very good priest. I would send a mass card but have no idea who to send it to. If you find the time to send me the address I will send out the card. May Mary rest in peace and may her family cope with the loss and never forget her. Amen.